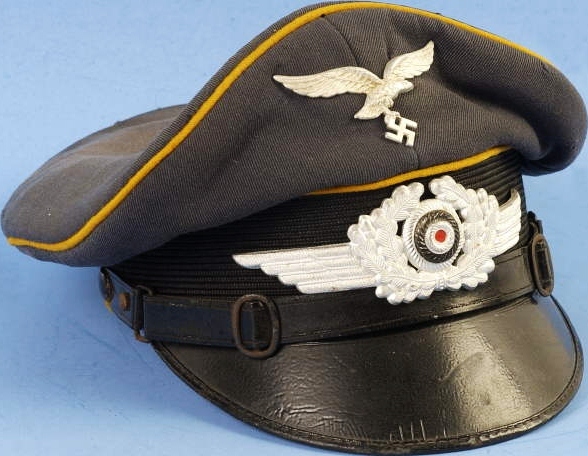 We offer a wide range of military headgear, including peaked caps (see picture), side caps, steel helmets and parade caps, including the famous German ‘Pickelhauben’ (spiked helmets). 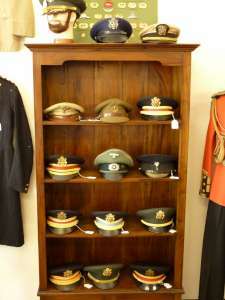 Military headgear is used to show the nationality, arm of service and in some cases the rank of the wearer. 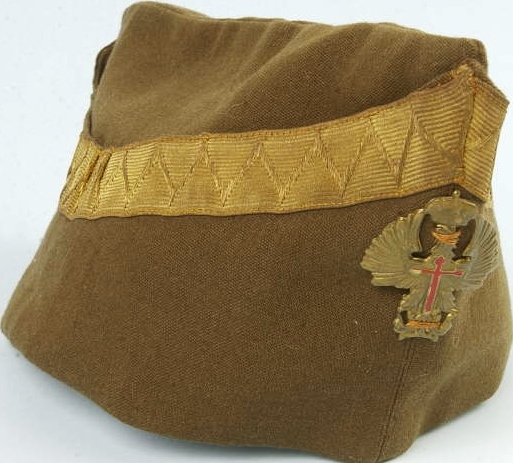 Traditionally, soldiers who fought for a particular King or land owner would wear the coat of arms or colours of their ‘protector’, usually on some form of cloth cap. Good examples of this are the tricorn hats of the 17th and 18th centuries. Headgear did have to evolve as the weaponry of armies became more powerful, no longer could a cloth cap protect you on the battlefield in the era of the machine gun! 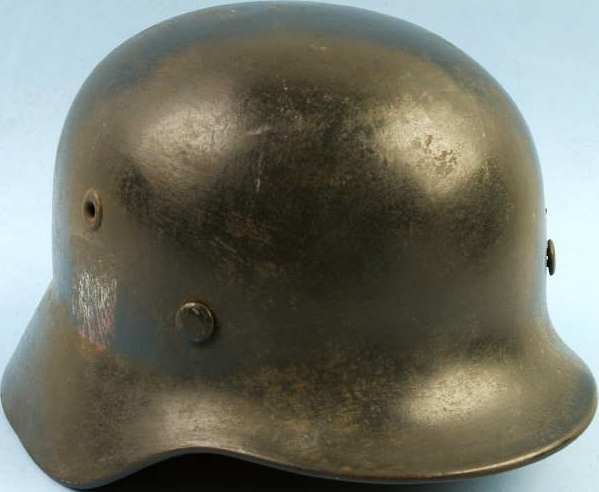 The Germans in 1915 were the first of many countries to develop the protective steel helmet, which was generally released in 1916 to their troops, to which most of the other warring countries followed suit. 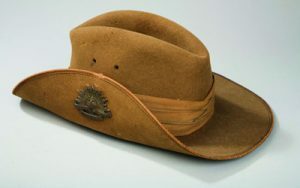 Today, we see footage of soldiers rarely without a protective ‘kevlar’ helmet, usually worn with no insignia, other than the national camouflage uniform pattern cover.Whilst some collectors steer clear of collecting head gear, it can be a great way to trace the origins of uniform development and technology.